1. Extensor Digitorum Brevis Island Muscle Flap to Cover an Exposed Ankle Joint in a Child. S. Varma F.R.C.S., Zisis Boukouvalas M.D., J.D. 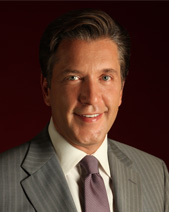 Angelo M.D. Acts of 38th Congress of the Italian National Society Of Reconstructive and Aesthetic Plastic Surgery 1990. 2. Tissue Reconstruction with non - penetrating Arcuate - Legged Clip, Potential Endoscopic Applications. Kirsch WM, MD, Y.H.Zhu MD, Z. Boukouvalas M.D., Gaskill D. Journal of Reproductive Medicine 1992. Kirsch WM, MD, Y.H. Zhu MD, Z Boukouvalas MD., R.A. Hardestry MD. 4. Συγκριτική μελέτη του συστήματος PRECISE ως προς την απλή συρραφή των αγγείων σε τελικό - τελικές αναστομώσεις στη Μικροχειρουργική. 5. Η τοπική ριζική απονευρεκτομή στη θεραπεία της νόσου του Dupuytren. Σ.Ιορδανίδης, Ζήσης Μπουκουβάλας, Ε. Δεμίρη, Κ. Μαντινάος. Ανακοίνωση στο Πανελλήνιο Συνέδριο Π.Ε.Ε.Α.Χ. Αθήνα 1993. 6. Power - Assisted Liposuction: No Struggle Just Art. Boukouvalas Z. 19th Congress of the International Society of Aesthetic Plastic Surgery, February 10-13 of 2008, Melbourne, Australia. 7. Basic Access Ant - Gravity Purse String Suturing - Lift (BAAPS - Lift): A Modification of the MACS Lift.